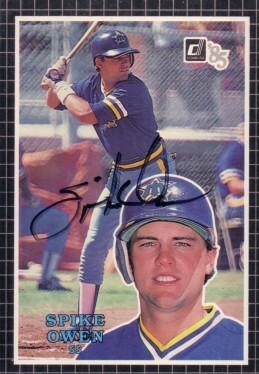 1985 Donruss Action All-Stars jumbo 3 1/2 by 5 inch card autographed in black marker by former Seattle Mariners shortstop Spike Owen. With certificate of authenticity from AutographsForSale.com. ONLY ONE AVAILABLE FOR SALE.